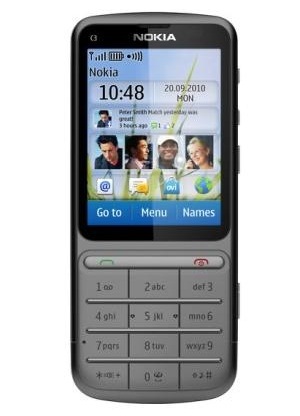 I recently received my company issued cellphone unit which is Nokia C3-01. Aside from its sleek look and touch & type feature, it is already WIFI capable. I tried connecting it to our company's wireless network and it connected fine but my problem was similar to my android device, it uses DHCP IP address which is inside the firewall and requires proxy settings in the browser to be able to browse the web. Since I haven't found a way to set the proxy settings on the browser level, I tried looking for ways to change the dynamic IP into Static IP. At first, I thought it was not possible because I already tried everything and I can't find the correct menu to configure the Static IP. Fortunately for me, I stumbled on it when I was about to give up. 2. On the WLAN configuration, press Available WLANs. Click on the network you want use. Save it for later use. Disconnect the WLAN you choose. 3. Go back to Menu > Settings > Connectivity > WLAN > Saved WLANs, you should be able see the WLAN you saved earlier. Press it and there is a "Network Settings". 4. From the Network Settings, scroll down unti you see the "Advanced Settings". From there you can set the Static IP address and DNS Address. There you have it! Good Luck! An IP address is delineated utilizing any of these 3 techniques.